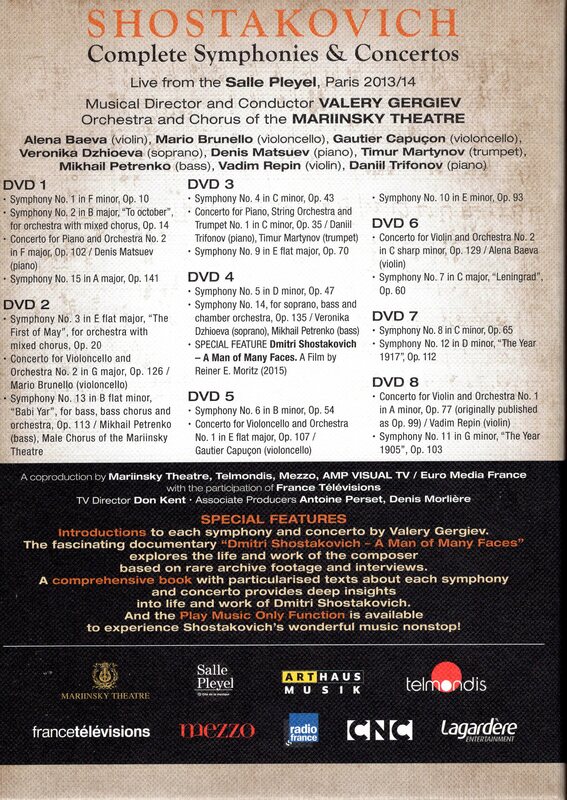 Arthaus Musik has released an 8 disc DVD set of all the Shostakovich Symphonies and Concertos. 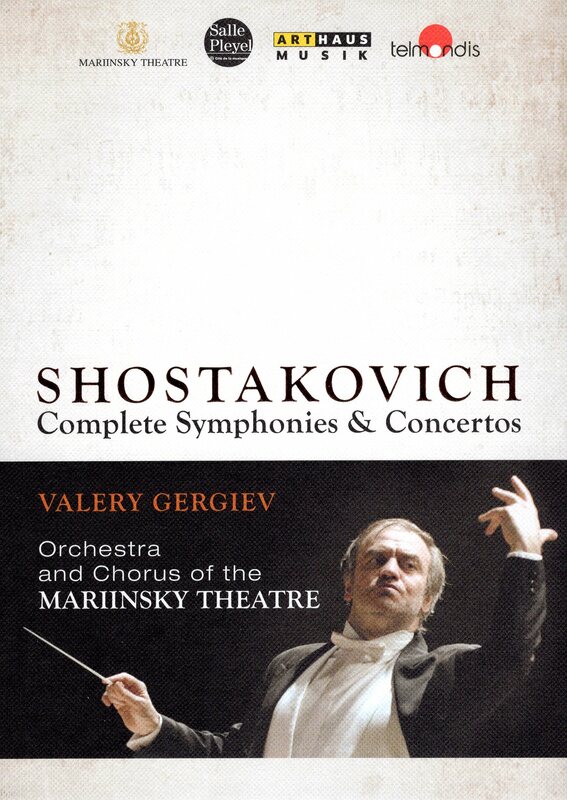 Valery Gergiev, perhaps the best conductor of the Russian master now active, leads soloists and the Mariinsky Theater Orchestra and chorus in performances recorded at the Salle Pleyel in Paris. These recording were made in 2013/14. I just received this set and will review selected performances from it in several posts in the near future. The front and back of the box are below. If you wish a bigger picture, click on the image. Shostakovich (1906-75) though dead more than 40 years is still being re-evaluated by both critics and audiences. His reputation and the number of performances of his work grows every year. The 15 symphonies and 6 concertos performed in this set are just part of his huge output, which includes 15 string quartets, many film scores, and numerous other compositions for both large and small forces. My view is that he is the great composer of the 20th century.